Most advisors understand that ETFs are liquid, although some may simply apply their knowledge of stock liquidity to ETFs and assume that it is the samebut it is not. Last year, ETFs grew to over $2 trillion in assets under management. More advisors clearly understand the structural benefits and are adding ETFs to their client allocations. Meanwhile, newcomers using ETFs have become familiar with the catchphrase “benefits of the ETF structure,” yet might not realize the mechanics of that structure entirely. 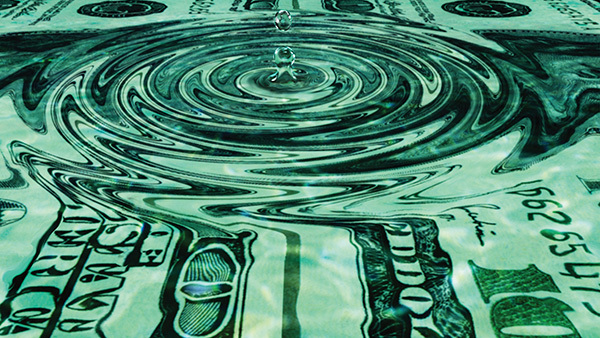 One of the most commonly misunderstood benefits of an ETF is its liquidity. Most advisors understand that ETFs are liquid, although some may simply apply their knowledge of stock liquidity to ETFs and assume that it is the same—but it is not. ETFs can draw comparisons to stocks because they are exchange-traded. However, ETF trading volume does not equal its liquidity, whereas liquidity for a stock is based on the trading volume—more volume provides the ability to place an order at a reasonable price and not drive up the stock price with a purchase. For instance, a stock with 10 million shares outstanding that normally trades 2% of its float has an average trading volume of 200,000 shares. If a large or institutional investor looks to purchase 1 million shares of that stock, then the price would move up with that order. The reason is that stocks trade more like a closed-end fund, where only a certain number of shares are available to buy or sell. So in the case of such a large stock purchase, existing shareholders would need to sell, and if they don’t want to, then the buyer’s price needs to keep moving higher until it reaches a number that makes some existing shareholders sell. It is simply the law of supply and demand. ETFs are both similar and different. For ETFs, high trading volume is just high trading volume and not a measure of their liquidity. The vast majority of ETFs are open-end funds with the ability to create or redeem an unlimited amount of shares. For an ETF with the same characteristics as the above stock example, a buyer does not need existing shareholders to sell in order to purchase 1 million shares. Instead, a market maker or authorized participant takes a buy order and can go directly to the ETF sponsor to create new shares of the ETF. Not one existing shareholder needs to sell for a large order to be executed and filled. The process to create these shares requires the market maker to purchase the underlying holdings of the ETF and then deliver those holdings to the ETF sponsor. The ETF sponsor then will deliver the shares of the ETF to fulfill the order. If the ETF has liquid domestic equity stocks, the market maker’s cost to acquire those stocks is cheap, and thus the cost to create new ETF shares is also cheap. Therefore, the ETF should be purchased at close proximity to its indicative NAV—the ETF shares’ value in real time. The ETF’s daily transparency ensures what the indicative NAV should be worth. If the ETF’s underlying securities are less liquid, then the market maker’s costs to acquire those shares and deliver them to the ETF are much higher. Where the application of this is most important is when viewing bid/ask spreads. The stock market is a “negotiated” market, and spreads are usually listed wider for smaller ETFs that do not attract higher frequency trading. A quick look at the underlying holdings will help an advisor understand the liquidity of an ETF. Most importantly, use limit orders to place and get the ETF trade executed at the right value. In my experience, when that is followed, market makers are happy to provide true liquidity and execute that order. Don’t miss out on investing in the right ETF for your client based on the volume. The importance of differentiating stock liquidity from ETF liquidity cannot be understated.